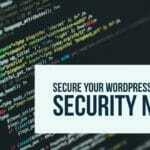 WordPress can be exposed to many security issues but you can always turned to get some help to secure WordPress installation. Check how you can use Security Ninja plugin to secure your blog. Have you done enough to secure your WordPress site? – I guess not many website owners will ask this question to themselves. WordPress is one of most preferred CMS for creating sites and blogs but it has its own weaknesses. You can check the WordPress repository and will find many outdated plugins (Free tag always comes with certain costs). If you are running outdated WordPress Core or Plugins, you may be vulnerable to hacks but still many site owners will continue to do that. The latest example of what can happen with the outdated security measures is Equifax Breach which has potentially compromised 143 million people’s data. We have also seen a lot of breaches in terms of Netflix or HBO latest shows getting leaked online. Not that all of those breaches are related to WordPress but there are enough instances to get infected with Malware or security breach on WordPress also like EV ransomware. The first problem for the webmasters to know what steps are necessary to secure WordPress installation. There are lots of articles and information available on the internet but going through and learn will need a good amount of time. Also, this is not a one-time activity as you need to keep updated on newer threats. So how would you know that your security is enough or you have taken enough measures? How about taking some help and let someone else do it? Security Ninja is a WordPress Plugin which can help in making sure that your WordPress site is secure. 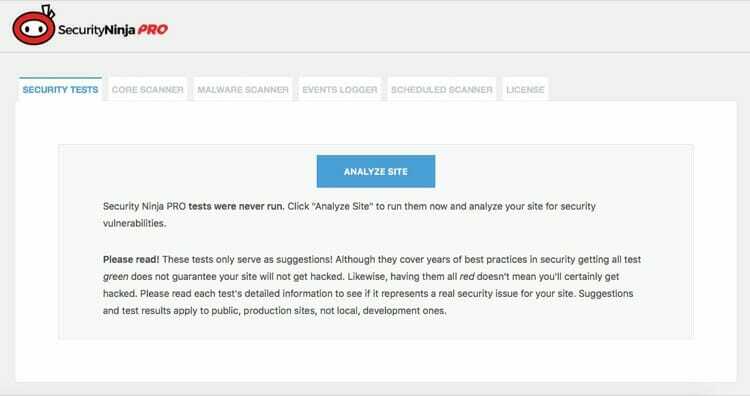 It scans the site and allows you to fill the security gaps. Just to be sure, it does not make any changes to your site. 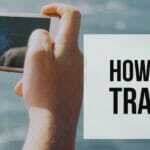 It just scans it and suggest the required modifications and also provide helping guidelines on how to do it. Security Ninja is available as a free plugin in WordPress repository and can be installed like any other plugin. If you want to get the Pro version for the additional functionalities, you can get it from WpSecurityNinja. Once installed you can just click a button to run 50+ tests to check the WordPress security. The scan result will give you a detail report in terms of what tests have been done and what’s the result. You can click on Detail & Tips to get the details about the result and tips on how to resolve it. If you have Pro version, you will get Auto Fix along with Detail & Tips. This will fix most of the issues with a single click. The benefit of using a plugin is that they will keep it updated for new vulnerabilities so that you can keep your site secure. 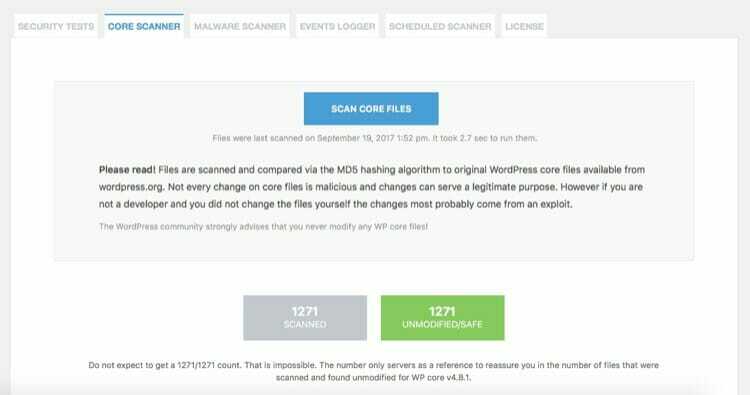 This is a pro feature which will allow you to scan WordPress core files and will report any exploit. This feature will compare the WordPress core files with the core files in WordPress repository via the MD5 hashing algorithm. It will report all the compare results and you can check if the changes are intentional. WordPress does not suggest to modify any core files, there are enough hooks and filter available to do your modifications. So if you see any files modified, you can restore those with a single click. This is also a pro feature which will scan files for malicious code. It will run a heuristic analysis to compare the code pattern with the known patterns for malware. 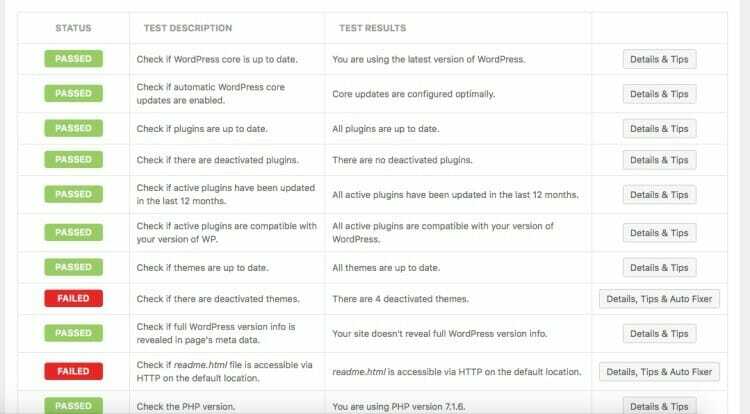 This will scan your themes, plugins and all other files in WordPress installation to make sure all of them are safe. It can sometimes mark some bad code also as a malware, so check the result carefully before taking action. 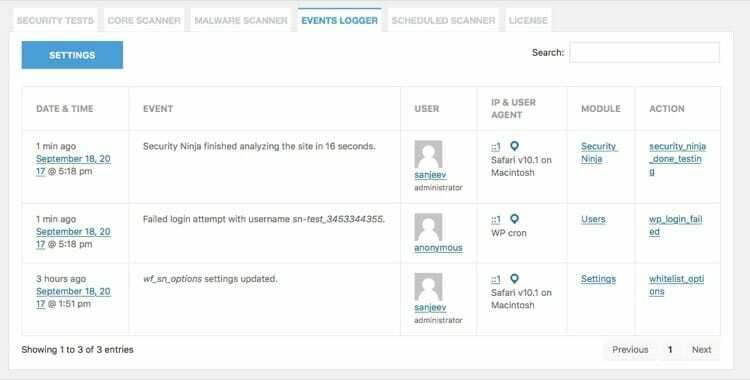 Event Logger is another pro feature which will log all the events from your WordPress installation. 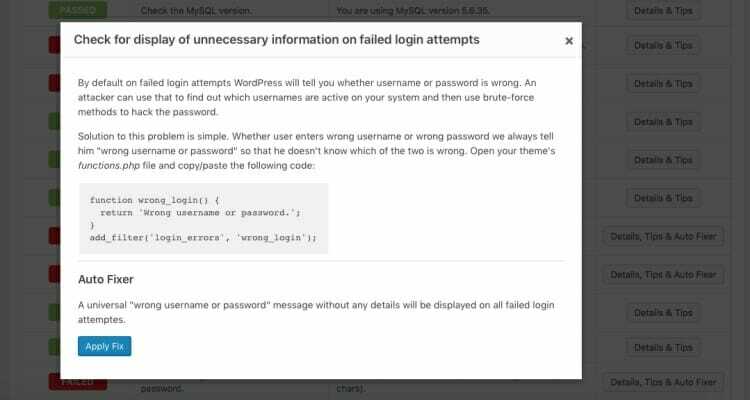 You can check if there is any attempt for hacking and secure WordPress by taking appropriate actions. It can log more than 50 type of events in WordPress to provide information on the changes. It allows you to schedule Security Ninja and Core Scanner to be scheduled at a regular interval. You have an option to receive emails once the scan is complete. You can schedule them together or only one of them to make sure that your site is always protected. There is no-one who can guarantee a complete security from hacking and the same is true for Security Ninja. But that doesn’t mean you should stop trying, you should put as much effort as needed to take all required steps. 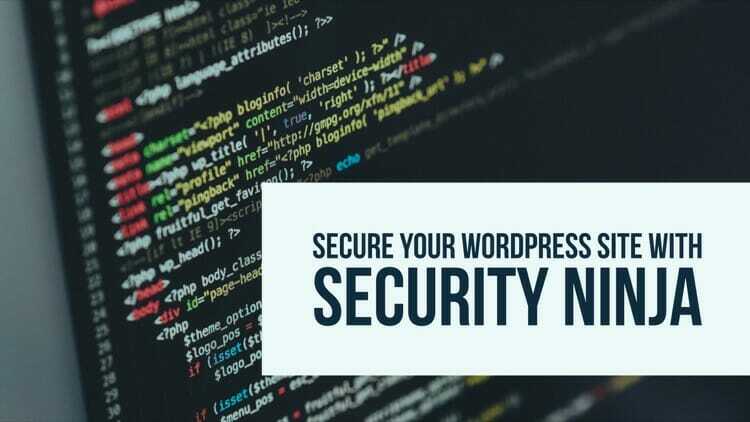 Security Ninja can provide all the precautionary measures and constantly monitor your WordPress site which can help you avoid those unfortunate instances. So go ahead and secure your WordPress installation with Security Ninja from WpSecurityNinja. What are you doing to secure WordPress, are you using plugins or using manual approach? Let us know in the comments.